If you have the ASUS F555LA laptop and want to have a manual that you can download and read on your computer, you might want to try ASUS X555LA manual. 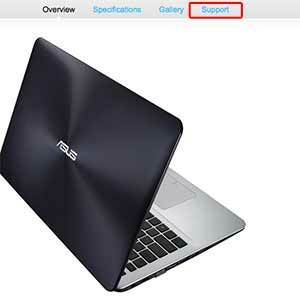 The ASUS F555LA manual itself isn’t found yet on ASUS website, but you can use the X555LA model. 3. Click “Manual & Document” tab. 4. Scroll down or you can use CTRL + F to find “English” to search the manual in English language. You will be able to read or download the pdf file on the browser, to download just click the “Download” icon with the arrow button. On your top right corner of your opened browser, you should see the arrow download button to save it in your PC. (See screenshot after step 4 above). It’s the best manual that you can download at the moment for your ASUS F555LA laptop. ASUS F555LA-AB31 15.6-inch Full-HD Laptop (Core i3, 4GB RAM, 500GB HDD) with Windows 10 i3?